With patients regularly waiting 2 weeks to see their family doctor, i-GP was created to improve access to care at an affordable fixed price of just £10. Created by the award winning Dr Noorpuri, it is a unique online system that operates 24/7 and provides the highest level of clinical care in a patient centric manner. The system, called Si, is architected with imagery which allows for a unique user experience. The assessments are intelligent and responsive to the patient’s answers. If i-GP detects that you need a physical assessment, it offers free tailored advice which is a UK first. 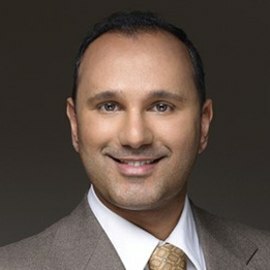 Dr Noorpuri brings over 15 years of extensive NHS experience to the helm. He has led i-GP to multiple national awards within its first year of service and a level of patient satisfaction which is unparalleled in the UK digital health market.